At Ole's Adventure Resort, we take great pride in our commitment and it shows through decades and generations of guests that we have had the pleasure of hosting. We invite you to Whitefish Lake known for its abundance of trophy walleye, northern pike and jumbo perch (100 perch limit). Amazing views from clean, comfortable and affordable cabins with large fully furnished decks. Luxury 5th wheel to immerse you in a true Canadian experience. Accommodations for your large fishing parties of 12 or more, intimate trips for 2 or family vacations. With all the amenities of home microwave, griddles, crock pots, gas grills, coffee makers and all kitchen necessities supplied. Let us bring you along for the journey; it would be our pleasure to have you create your lifelong memories with us. Book one of our remote guided fishing trips with Dave. With 35 years of guiding and fishing experience on remote lakes in Northern Ontario. We are wheelchair accessible, pet-friendly with fishing licenses, gas, bait and ice cream on site. Drive-in Access: Within 55 minutes of crossing the US Pigeon River border, you will be right on the shores of Whitefish Lake. Only 45 minutes from Thunder Bay Ontario and the world-renowned Kakabeka Falls. Cabin Rentals (Housekeeping): Clean affordable lakefront cabins with all the amenities of home. Sit out on your private covered deck BBQ and relax to the sounds of the loons and take in all the beauty Whitefish Lake has to offer. Private Campground: Daily, weekly or monthly full facility 30-amp camp sites. Right on the water’s edge or sites available close to our full shower/restroom facilities. Waste disposal bait gas and ice on site. 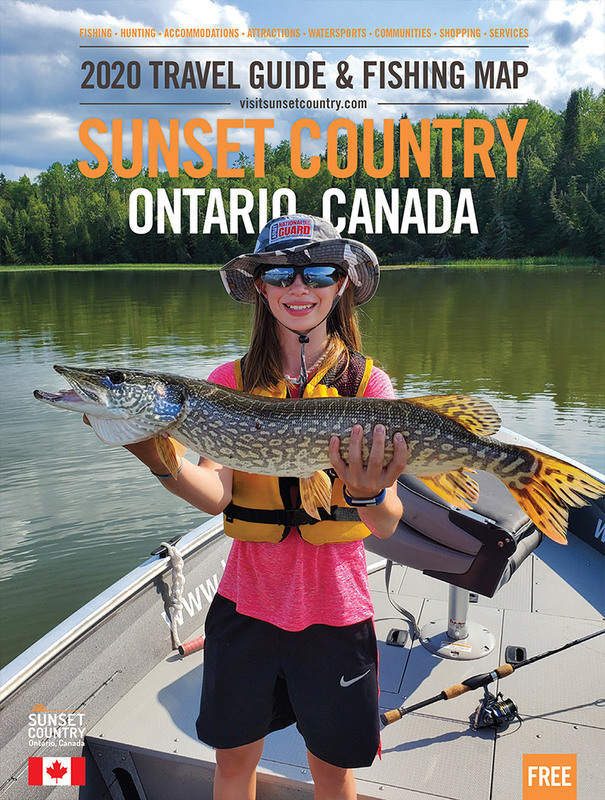 Walleye: Whitefish Lake a one of a kind spring fed with an abundance of vegetation the perfect lake environment for the trophy walleye and the agler's dream shore lunch. Smallmouth Bass: You can fish Whitefish Lake for smallmouth bass or enjoy the thrill of an adventure on our private guided day trip to a lake that has a large population of smallmouth bass. Perch: The excitement of a day filled with jumbo perch fishing. Whitefish Lake one of the few lakes that can support a 100 perch limit. It is a truly amazing experience for the novice and experienced angler alike. Duck: Crisp coloured canvas and a day of duck hunting are just another great reason to be at Whitefish Lake. The perfect combination of pristine water and wild rice beds means an abundant day of duck hunting.